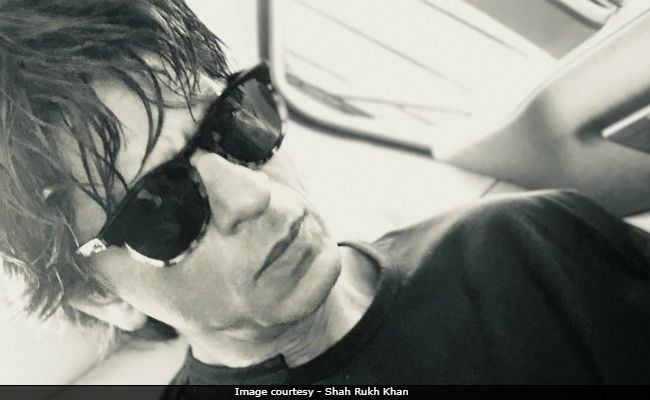 Shah Rukh Khan wrote, "A poem I read on way to work"
SRK wrote on Twitter, "A poem I read on way to work"
Shah Rukh Khan is back to work and his latest tweet reveals that he has been busy with something else apart from clicking a selfie, of course. The 52-year-old actor shared a click of himself on Twitter and wrote, "A poem I read on way to work...' I don't pay attention to the world ending; it has ended for me many times. And began again in the morning." Shah Rukh Khan and his younger son AbRam returned to Mumbai on Saturday evening after a mini vacation in Europe. The Raees actor posted several updates on Instagram of the father-son fun filled memories. One of the posts was about AbRam, who is now a new Speed Skiing champion of the world. Shah Rukh Khan, usually, makes the best use of time on his way to work - by clicking selfies and his Instagram stands as a proof of it. A couple of weeks ago, he posted a black and white selfie on social media and wrote, "I took this pic in colour on the way to @aanandlrai Zero shoot. It's taken so long in traffic, the colours have faded..."
Since his dark selfie, Shah Rukh Khan's new media manager and co-actor Katrina Kaif took upon herself to rectify his 'photography game.' We're not saying this, its Shah Rukh Khan, who revealed it to the world. "My media manager strikes again!! Katrina Kaif extremely disturbed with my last dark selfie took it upon herself to rectify my photography game. 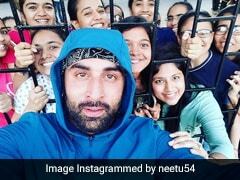 Here is a sample of her amazing love for taking pics & keeping us all so entertained on the sets," read his Instagram post after the dark selfie. Shah Rukh Khan will play the role of a dwarf in his next film Zero, which also stars Katrina Kaif and Anushka Sharma. The Aanand L Rai-directed film also features Kajol, Madhuri Dixit, Abhay Deol and Sridevi (posthumous) in cameo roles.